Value is a funny thing. When we hear value, we tend to think of lower-priced wines (many of which do not deliver value) but low-priced wine is nowhere near the whole story. While it may be hard to think of $75 bottle of wine as a value, the fact is that many (which is not to say most) are. Saying that a wine offers value means that it over-delivers at its price point. Once viewed in that light, it becomes clear that there are values – wines that over-deliver – at every price point, just as there are wines that under-deliver at every price point. What is hard for me is to say that “this $25 wine is ‘as-good-as-that’ $75 wine” – because in the vast majority of cases, it isn’t. If it were, the market would have pushed up the price of the $25 bottle and pushed down the price of the $75 bottle. Or both. If, over the long term, both wines are stable at their price points (meaning that they have achieved market equilibrium), then, at least for those who are buying them, they deliver at least fair value at their respective price points. While much is made of the occasional blind tasting where a cheaper wine trounces a flashier bottling, it happens less often than you might think. You hear about it because it’s so unusual and because it becomes news. An expensive wine trouncing a cheap wine isn’t news (and so is not reported) because that’s what’s supposed to (and most often does) happen. So you read about the cheap wine that won. And you wonder if it really is better. – How where the wines tasted and presented? – Were they tasted or drunk? – How much time did the tasters have with each wine? – Could they directly compare back and forth? – Did the tasters know the prices of the two wines? – Was there an interest in the outcome or bias on the part of whoever was conducting the tasting? My experience tells me that in the vast majority of cases, given time to taste and compare, quality will show through. And quality comes at a price. Nevertheless, there are wines in each price range that over-deliver and those are the real value wines. Here are ten of my value picks in three price ranges. A blend of Macabeo, Xarel·lo and Parellada (the classic Cava trio) together with some Chardonnay fermented using methode champenoise (same as the Perelada Cava Brut Reserva) but aged 27 months on the yeasts in the bottle and an extra three months after disgorging. Pale-gold-straw in color and fully sparkling; dry, medium-plus-bodied with still fresh acidity. Toastier with a yeasty earthiness and real depth to go with citrus and tree fruit along with some earthy red fruit. 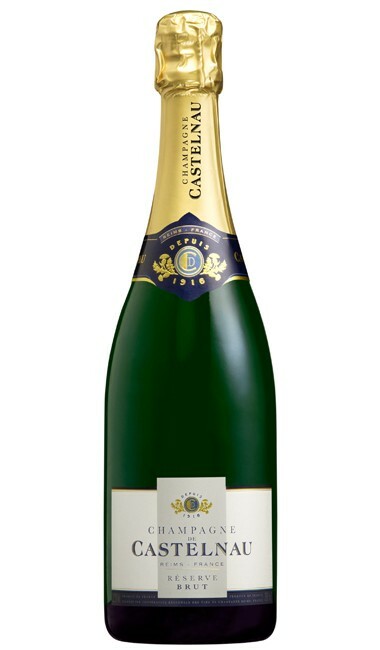 The richness from the additional aging makes this a Cava for those who like Bollinger-style Champagnes. Richer, deeper, more satisfying. Delicious. Shocking for the price. BearScore: 91. 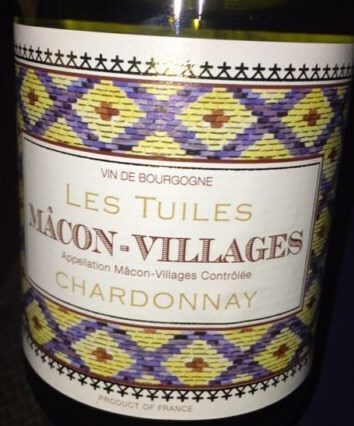 100% Chardonnay from mature vines grown on predominantly limestone soils on south-southeast facing vineyards surrounding the village of Lugny (that makes it “Burgundian”). Fermented and aged 6 months in temperature controlled stainless steel tanks (that keeps the fruit flavors fresh and lively) with full malolactic fermentation (that adds richness). Pale straw colored with green highlights and well-formed legs; dry, medium-bodied with fresh acidity. With its supple, fresh, juicy, lively citrus fruit and mineral character, this is a refreshing Chardonnay with the balance to work with lots of foods and the flavor to drink on its own. YUM. BearScore: 89+. 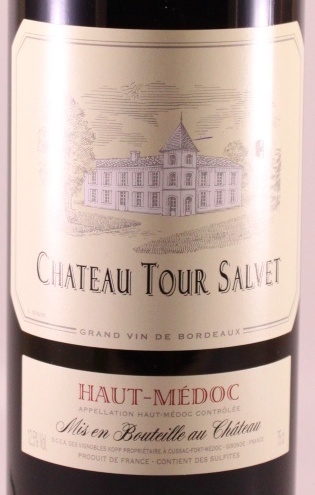 A mid-Haut Medoc (Cussac to be precise) blend of 51% Cabernet Sauvignon, 34% Merlot, 15% Cabernet Franc fermented in temperature-controlled, epoxy-lined concrete tanks and aged 40% in concrete tanks and 60% in French oak barrels (25% new). Red-purple in color with well formed legs; dry, medium-bodied with freshly-balanced acidity and medium phenolics. Supple, balanced and fresh with red and darker red fruit accented with gravel-dust terroir and tobacco. Fantastic value. Yum.. BearScore: 90+. 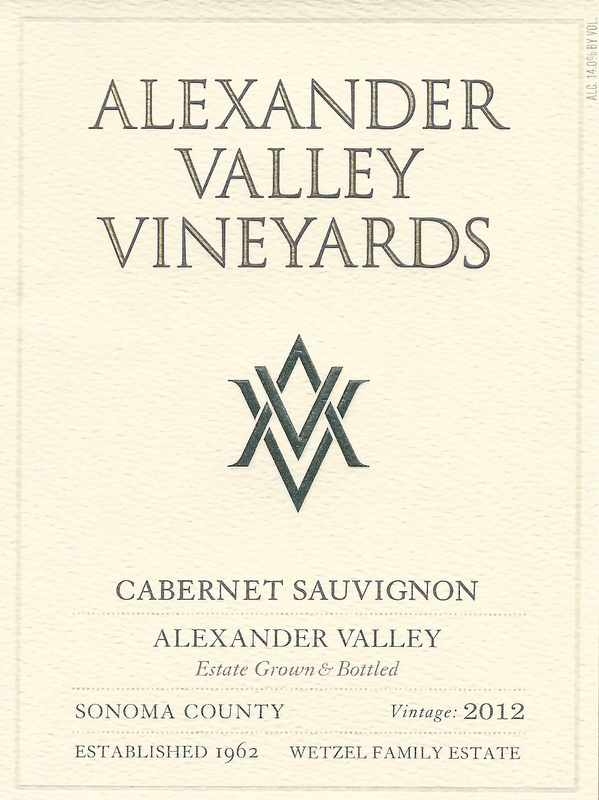 A 14% alcohol, 100% Cabernet Sauvignon from the AVV estate’s organic vineyard (CCOF certified) fermented in temperature-controlled stainless steel tanks (with pumpovers) and aged in mostly American oak barrels (with 2 French barrels, 75% of the barrels were new) for 24 months. 725 cases made. Purple-red with well formed legs; dry, medium-full-bodied with freshly balanced acidity and chewy phenolics. Rich, juicy, cabby, ripe but balanced, classic Cabernet Sauvignon offering tobacco leaf and darker red and some black fruit along with dusty notes of oak and terroir. Delicious, classic, ripe. Stunningly good wine. BearScore: 92. 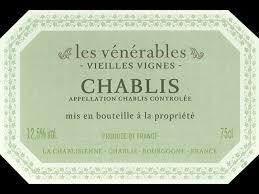 A 12.5% alcohol,100% Chardonnay real-deal Chablis from older vines (grown on Chablis’s classic chalky soils) aged 14 months 90% in tank and 10% in neutral oak barrels (no new barrels). The barrel-aged component is integrated into the tank-aged wine after 10 months. Green straw in color with well formed legs; quite dry, medium-bodied with fresh acidity and scant phenolics (from lees contact). Supple, a bit riper and more complex. Lots of lemony citrus with lots of chalky mineral with a fine richer texture in the mouth. Focused but still satisfying. BearScore: 91+. A blend of 45% Cabernet Sauvignon, 45% Merlot, 5% Cabernet Franc, and 5% Petite Verdot (all grown in a vineyard that touches Ch. Margaux on one side and Ch. Palmer on the other) fermented in concrete tanks using pump-overs and aged in all French oak barrels (50% new). Red-purple with well-formed legs; dry, medium full-bodied with freshly balanced acidity and medium phenolics. Black & red fruit with a hint of coffee grounds to go with gravel-sand terroir, a tobacco leaf note, and a whiff of perfume. Long finish; alive-in-the-mouth. BearScore: 92. A 13.5% alcohol blend of 80% Cabernet Sauvignon, 18% Merlot, 1% Cabernet Franc, and 1% Petite Verdot grown on the deep gravel terroir of the Pauillac plateau fermented using pump-overs in stainless steel tanks and aged in all French oak barrels (60% new). Red-purple in color with well-formed legs; dry, medium-full-bodied with freshly balanced acidity and medium-chewy tannins. Dark red and a bit of black fruit with dusty, Bourbony oak and accents of attic dust, tobacco, pencil shavings, new leather; refreshing, quite long finish. 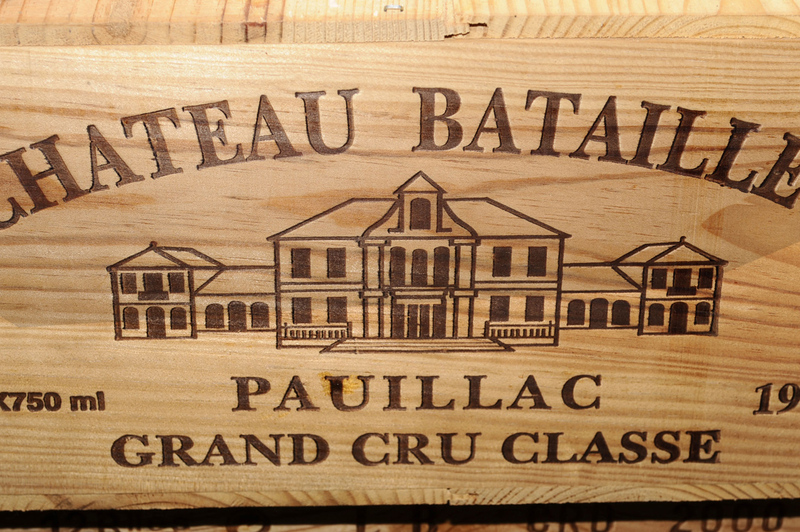 This fifth classified growth is for me the very essence of Pauillac. delicious now, experience with this property tells me it will age and develop for 20 to 40 years if properly stored. BearScore: 93. A blend o 78% Cabernet Sauvignon and 22% Merlot (from a vineyard planted to 75% Cabernet Sauvignon, 20% Merlot, and 5% Cabernet Franc) fermented in Stainless steel tanks using pump-over and aged 18 months in all French oak barrels (75% new). Deep red-purple color with well formed legs; dry, medium-full-bodied with balanced acidity and medium-plus chewy phenolics. 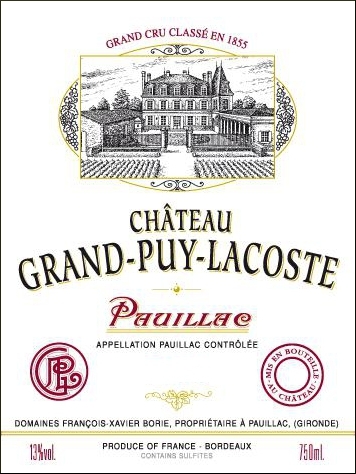 Bigger, richer but still classic Pauillac with some red and more black fruit. Lots of gravel and dust some nice spice and classic tobacco leaf. Has a nice “chew” to it with a hint at rusticity. Delicious. BearScore: 93+. This 100% Pinot Noir (so it is a Blanc de Noirs) estate-bottled cuvee comes from the grand cru village of Bouzy. The blend is 50% from the 1996 vintage, 25% from 1995, and 25% from 1997. Some of the component wines were fermented in used Sauternes barrels and some were aged in older oak barrels. The wine was laid down in early 1998 and disgorged on 06/05/2014 – so it has 16 years on the lees. Gold-straw in color, bright and clear and fully sparkling; dry, medium-plus bodied with a rich texture, still fresh acidity, and scant phenolics. This is a stunningly good, beautifully developed sparkler with depth and richness to go with a perfectly integrated mix of mineral, toast, and developed citrus-tree-red fruit. Lovely, delicious, satisfying. BearScore: 98+.